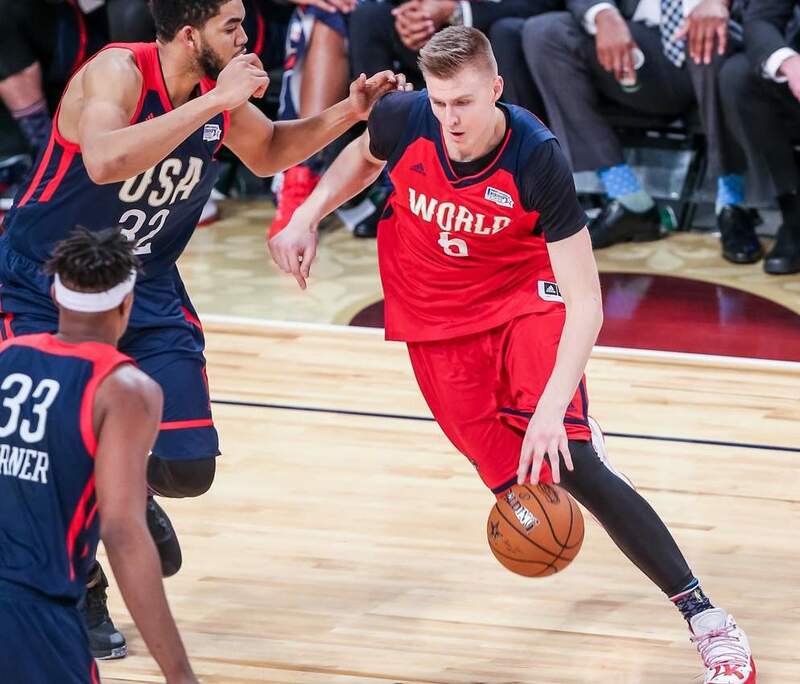 The New York Knicks traded former franchise cornerstone Kristaps Porzingis to the Dallas Mavericks on Thursday, setting the basketball world ablaze. According to Adrian Wojnarowski, the Knicks will also be sending Tim Hardaway Jr., Trey Burke and Courtney Lee to the Mavs, while the Knicks will acquire Dennis Smith Jr., DeAndre Jordan, and Wes Matthews. It’s only been a few hours since we first we heard of any potential deal, and it didn’t take long for things to come together. There’s also lots to digest from a fantasy basketball standpoint. There’s a good chance Porzingis (ACL) doesn’t suit up this season, which would make the Mavericks big men — most notably Maxi Kleber (17 percent owned on Fantrax) and Dwight Powell (20 percent owned) — the biggest winners in fantasy. Kleber isn’t a prolific scorer, but he has a knack for contributing across the board, especially in blocks, where he’s averaging 2.4 per 36 minutes. He’s also racking up 7.4 rebounds, 1.0 steals, and 1.4 triples per 36 minutes. Powell is also an intriguing target if you’re looking for scoring and boards, but he won’t help much in blocks or threes. Given the scarcity of blocks on the wire, Kleber is the preferred choice of the two. Hardaway will step into the role left by Smith Jr., and should get some more open looks with Luka Doncic commanding attention (and passing him the ball); the Knicks are last in the NBA in assists per game. If you want to add someone from the Mavs’ backcourt, I’d be grabbing Jalen Brunson, not Courtney Lee. The second-round rookie from Villanova is a bit raw, but he’s shown he can put up some numbers when given 25 minutes or more. While the Mavs are reloading, the Knicks are unloading, and that’s not necessarily good if you own DeAndre Jordan or Wes Matthews. The Knicks are committed to rebuilding this franchise through youth (Smith, Kevin Knox, Allonzo Trier, etc. ), and impending free agents Jordan and Matthews won’t be a part of that journey. After this deal New York will have about $75 million in cap space to spend on big name free agents, and they’ve currently got the second-worst record in the league, so they’re also looking at potentially landing the No. 1 pick in the NBA Draft. It wouldn’t be surprising to see some of their newly acquired players on the move again, and guys like Enes Kanter and Noah Vonleh could also be sent packing. Kanter has openly admonished the franchise on Twitter. The aforementioned Trier is the biggest beneficiary here, and his value would grow even more if Emmanuel Mudiay was sent packing. Centers Mitchell Robinson and Luke Kornet, who will play Friday after missing time with an ankle injury, are both worth adding. If Jordan is traded again, or gets DNP-CDs down the stretch, Kornet and Robinson would get all the minutes they could handle. Robinson has been brought along slowly, but has massive potential, and Kornet is averaging 10.1 points and 1.9 treys over eight January games.